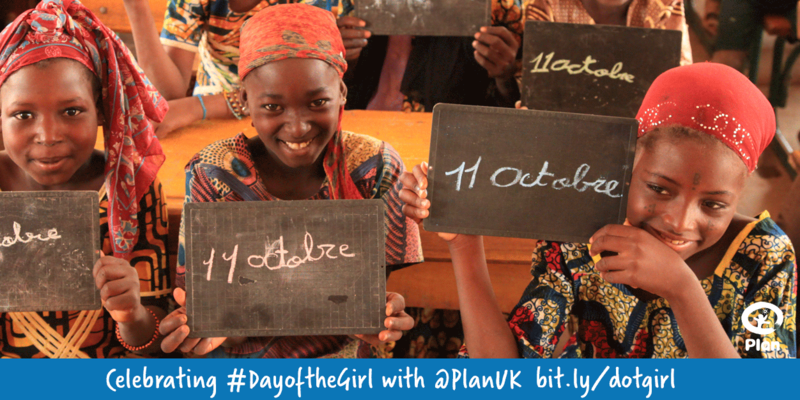 Simplicity increases chances of engagement and Plan UK are making it really easy to get people involved in International Day of the Girl. This is a pure awareness play by Plan UK (although they are looking to capture data, which is ok). All you need to do is go to Facebook and download one of the skins they have for Facebook or Twitter, go to their you tube page. As anyone who might follow me on Twitter, Facebook or Linkedin will know I finished Dan Pallottas book Uncharitable last week. What an incredibly interesting read. Pallotta challenges the way the not for profit sector is set up and mostly he challenges the perception that ratios are a good indicator of organisational efficiency. I truly support his viewpoint (in fact I’m pretty sure I lost out in a job interview for suggesting this!). I started out my fundraising career in an organisation where, when it came to advertising or doing any sort of promotion around our campaigns, the motto was “free first” and then we will see ! And this was in a time before social networks. So I began to think of this as the norm (which I suppose it is) and also became quite proud of the ability I had to get a message out there for little or no money and getting a return. Recently I have begun to realise that perhaps thats not the way, perhaps its not something to be really proud of, perhaps spending money is what needs to happen. I have begun to realise it, but have had little or no success in bringing it about. It really came to the fore for me last year when I was given a budget of 5,000 pounds to advertise a national campaign in the UK, in January! Try make that work. I’m not suggesting that simply spending money will make your campaign work, you need to have a plan, but surely we should look at is as part of the plan. Some charities do and guess what, they are the big ones. People may suggest that they can do it because they are so large, but is the reality not they are large because they do it? Of course the challenge we face is convincing the donating public that this is a good use of their funds. Pallotta suggests that we have sort of dug our own grave here as we pay homage to the organisations that rate us, simply on how little we spend (ratios). When we get questioned about it, we defend our ratios, and try and make them as small as possible. We see it every christmas where the media writes articles about how much a charity spends or how much per christmas card actually goes to the cause. We should quench these fires but not adding fuel to them (ie commenting in the defensive). We should take a stand, as an industry, and challenge the media to do a piece on the impact of our work. Ask them to consider the benefit of the money we are getting, rather than how much it is costing us to get it. Again I am not advocating that we spend all our donors funds on marketing or that a charity with a high ratio is now all of a sudden better, because they are spending on this rather than programmes. What I am suggesting (well really what Dan Pallotta is suggesting, and Im agreeing) is we that we need to be able to operate in the marketplace and compete for peoples discretionary funds. There is so much to talk about around what Dan Pallotta has written. He makes such a great argument for paying people in the sector well, if we dont we will lose the best and the brightest, at their prime, to the for profit sector. If we do we can attract them to this sector and we can also keep the best and the brightest that we already have. If you want to read a short overview of what Dan Pallotta is talking about check out his Harvard Business Review post here and take a look at the video below. Sorry some of my recent posts have been re-posts…but when stuff is worth sharing, its worth re-posting! Anyway here is a post from Future Fundraising Now on why things can get off the mark in meetings…oh its so true! A great article in Inc. magazine asks if you’ve ever invited employees to a meeting just so they wouldn’t feel left out. If you’re at a nonprofit organization, you probably have, eh? A Little Less Conversation looks at the real cost of overcommunicating. Think of it this way: Every time you add another person to a project, the more communication it takes just to keep everyone in the know. Before long, what used to be days spent making progress on the project is days just keeping up with the chatter. You can see where this goes. How do you escape the madness?… you need to design ways to reduce communications paths. Eliminate companywide mailing lists — or at least charge $1.50 to post to them. Stop having large meetings. You need a culture in which people don’t get uptight because they weren’t included in a meeting, which means you need a culture that rewards people for doing their jobs and frowns on meddling in other people’s work. Nonprofits are notorious for trying to get the consensus of every possible person for decisions. It’s a weight around our neck. If you value innovation, if you value quality, if you just value your life — you’ll keep the noise down by limiting the number of people involved in your projects. I wrote a while ago about some good board match sites (read that piece here). Last week I read on Fundraising Success about another board matching group. Organised by Duquesne University’s Nonprofit Leadership Institute this is a great way to match board volunteers with organisations. The idea here is like speed dating, so instead of waiting for people to find eachother on line or to take the step themselves, this is getting interested volunteers and interested organisations together in the same room. They meet, chat up their interests and expectations for five minutes, and then move on to the next date. The lucky ones leave with a long list of people to pursue … as potential board members for their nonprofits, of course. It’s speed dating for nonprofits, and it’s a new way for organizations to find the right board members. Like everything in fundraising, the easier you make things the more successful. According to the organisers no one has ever left date-less! Something the two Board Matching organisations I spoke about earlier should think about trying out.